AND WE ARE READY TO SHARE IT! Select a curriculum and teaching easy! For more than 10 years Roboriseit team have been working with teachers and students to deliver playful learning experiences that bring subjects to life in the classroom and make learning fun and impactful. 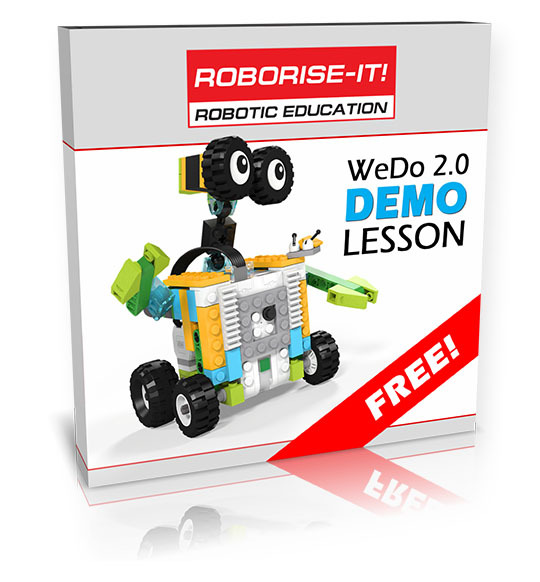 Thousands children all around the world study robotics according to our curriculums based on WeDo 2.0 and Mindstorms EV3 sets. Thanks to our materials, teams take prizes at WRO competitions - since 2009. We have experience and we are ready to share them! At the heart of Roborise-it educational products lies the concept of 4C - learning through action. All our training programs are aimed at obtaining practical knowledge through the solution of interesting, understandable assignments for students. High motivation for learning is achieved through an interactive engineering-game format. Continue: every task ends with a new task that builds on what has just been learned, keeping students motivated and curious. I have been teaching with LEGO products for a very long time. Before Mindstorms RCX, we were using LEGO Dacta products at Futurekids etc. I used lots of books, tested lots of web sites for rcx, nxt and ev3. To be honest, Roborise-it content is the best I have ever seen. It all starts with a story which kids love to hear, then there are videos and photos about the real world examples. After that, background info about the project followed by a science concept like gear ratios. The building instructions are great. They fit properly and very sturdy. Once you finish the project, there are a few upgrades, for the curious ones. Nice worksheets and mini pop quizes. At the end again followed bu videos of the project during upgrade process. For those who are looking for new projects, I highly recommend.